Between being a YA author AND a middle school teacher, it is safe to say I read a lot of YA lit. I am excited to share with you all my favorite books of 2011.
Review: Never was a fan of the space opera until a little show called Firefly….this book is amazing. I’m so glad I gave it a shot. Unique in ways other YA books could only hope to achieve, Revis explores some of today’s biggest issues (gender, sexuality, race, political correctness) in a fast-paced and intriguing way. I wrote an article for an educational magazine about why this book would be great in the high school classroom. Mara Dyer doesn’t believe life can get any stranger than waking up in a hospital with no memory of how she got there. It can. Review: Wow. This might be my favorite book of the year. Books rarely surprise me, and this one threw me for a loop. Crazy creative plot and super fun characters. This one will give you chills, and you’ll be counting down the days till you can get more. LOVE it. Plot: It’s been three years since the devastating accident . . . three years since Mia walked out of Adam’s life forever. Review: I am rarely a fan of sequels (which is sort of scary considering I am in the middle of writing my own), but this one really impressed me. I loved the first book, but had some small issues with it–mainly I didn’t really feel the love between the two main characters. The second book really explores this. It offers a mature and realistic look at young love and how it’s never perfect or easy. Plot: One choice can transform you. Pass initiation. Do not fail! Thrilling urban dystopian fiction debut from exciting young author. In sixteen-year-old Beatrice Prior’s world, society is divided into five factions — Abnegation (the selfless), Candor (the honest), Dauntless (the brave), Amity (the peaceful), and Erudite (the intelligent) — each dedicated to the cultivation of a particular virtue, in the attempt to form a “perfect society.” At the age of sixteen, teens must choose the faction to which they will devote their lives. On her Choosing Day, Beatrice renames herself Tris, rejects her family’s group, and chooses another faction. After surviving a brutal initiation, Tris finds romance with a super-hot boy, but also discovers unrest and growing conflict in their seemingly “perfect society.” To survive and save those they love, they must use their strengths to uncover the truths about their identities, their families, and the order of their society itself. Review: My favorite dystopian of the year….and that’s saying something since it’s such a hot genre right now. It took the formula The Hunger Games perfected—a perfect mix of action and love story. A book both boy and girl friendly. And Roth’s world-building is out of this world. Plot: In the magical underworld of Victorian London, Tessa Gray has at last found safety with the Shadowhunters. But that safety proves fleeting when rogue forces in the Clave plot to see her protector, Charlotte, replaced as head of the Institute. If Charlotte loses her position, Tessa will be out on the street—and easy prey for the mysterious Magister, who wants to use Tessa’s powers for his own dark ends. Review: Surprisingly, there isn’t much action in Clockwork Prince, but that doesn’t stop it from being one of Clare’s most enjoyable reads. Finally, a love triangle that doesn’t feel forced. The characters are likable. And steampunk is so in right now. Review: I was devastated to see this series come to an end. From start to finish, Ryan’s zombie story has been top-notch. Exciting. Scary. Tense. Wonderfully written. I just can’t say enough about it. Epic. Epic. Epic. No sophmore…or junior slump for this series. Gah. So good. 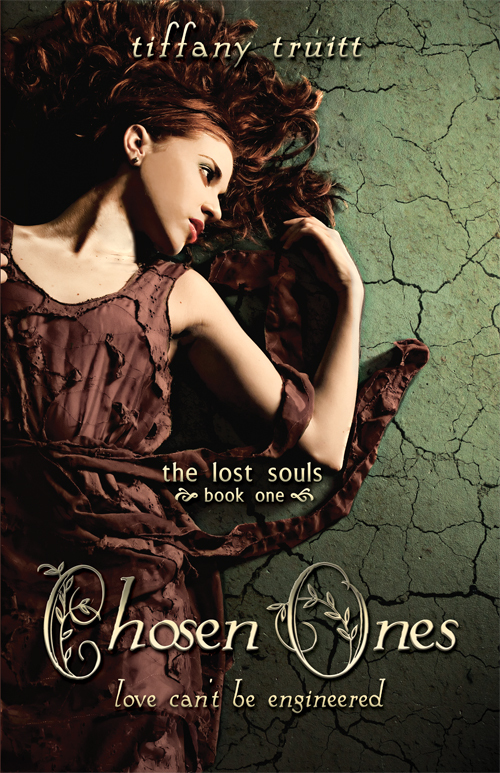 At midnight, the cover for The Chosen Ones (Book 1 in the Lost Souls Trilogy) was posted on over 150 Young Adult blogs. My family and I decided to cut back on Christmas this year. We did this for a variety of reasons: my sister and I are nearing our 30s, we are preparing for the arrival of my sister’s son, there’s a Bears game on that day… Needless to say, I was struggling to find the warmth the Christmas season brings. Waking up to all the love and support shown by friends, family, and the Young Adult community this morning really lifted my heart. Please check back this weekend, where I will show the LOVE to some of the amazing YA blogs out there who helped make this reveal so amazing.